Roberto integrates research questions in ecology and evolutionary biology by using a variety of methods that include histology, plant ecophysiology, diographic discrete and continuous models, and comparative biology. His research focuses mostly on the exploration of strategies that allow organisms to survive in arid environments, particularly in the light of climate change, and the conditions under which organisms can slow down or even escape demographic senescence. He works primarily on plants, but has recently started to extend his comparative demographic approaches to animals and fungi too. In recent decades, plant demography has slowly but steadily started to catch up with its older sister: animal demography. Plant demographers now record data from much larger samples, have a better grasp of the dynamics of “unseen” processes such as vegetative dormancy, dispersal and seed banks, and use a set of mathematical tools that allow for robust decompositions of demographic and environmental stochasticity . Nonetheless, I believe that there is still a significant amount of work ahead. Just like term elasticity in population dynamics (i.e., the relative importance of a demographic process for the overall population growth rate), another concept that has received much attention among biologists is phenotypic plasticity. This means that the same individual (i.e., genotype does not change) is able to modify its aspect depending on environmental conditions. This process is of particular importance for plants, since they are “stuck” in one place and have to deal with all sorts of environmental fluctuations – both temporal and spatial. A classical example of phenotypic plasticity among plants is that of root:shoot ratio, which changes depending on aboveground (e.g., light) and belowground (e.g., water, nutrients) resource availability . Other examples include changes in foraging strategies in response to habitat heterogeneity . Undoubtedly, individuals within plant populations can differ greatly because of their potential for phenotypic plasticity. Such differences may occur throughout the lifespan of the individuals both through time, and/or space if the environmental conditions vary regionally . Variation in time and space is widely accepted among ecologists, and yet this understanding is not reflected in temporal and spatial replication in the majority of plant demographic studies. Figure 1 depicts the frequency of temporal and spatial replication in hundreds of plant demographic studies. The median length of fieldwork in these studies matches the average tenure of a PhD and the length of research grants, which is probably not a coincidence. This temporal limitation has important implications for the understanding of population dynamics in perennial species that, like bristlecone pine and sequoia, can outlive generations of demographers. Unfortunately, the outlook is not better when considering spatial replication: most species are studied in only one field site. Figure 1. Temporal (red) and spatial replication (blue) in plant demographic studies using population projection matrices and integral projection models. Source: COMPADRE II (COMParative Demographic REsearch) database, Max Planck Institute for Demographic Research (Rostock, Germany; R. Salguero-Gómez, unpublished data). If we consider both phenotypic plasticity and the extensive distribution of many species, we should expect the population dynamics of many individual species to display wide variation in time and space. The question then is whether plant ecologists are accurately depicting the demographic characteristics of plant species, or whether we are by chance selecting outliers, and from these then inferring the population dynamics of an entire species. This concern gains more importance when taking into account the outburst of comparative demographic publications recently, often based on low replication. As a comparative demographer, I keep on repeating to myself “we work with what we have”… but I must admit I wish we had more! Early in my PhD studies, I was greatly influenced by a publication in Journal of Ecology titled “Space versus time variation in the population dynamics of three co-occurring perennial herbs” . 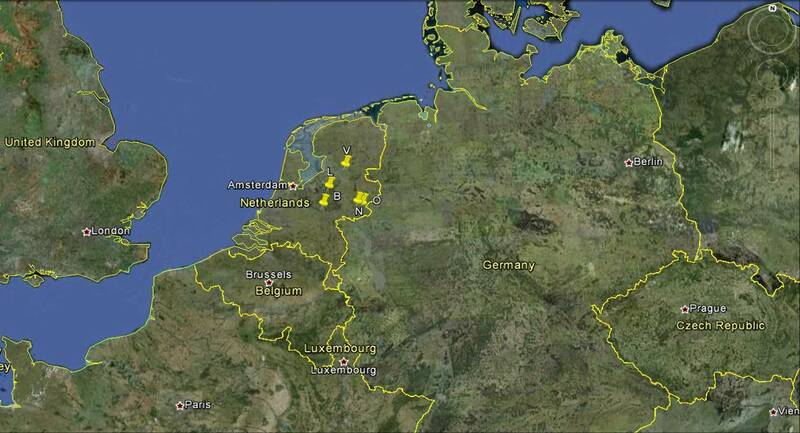 In it, Jongejans and de Kroon followed populations of three perennial plant species with similar life histories (Succisa pratensis, Hypochaeris radicata, and Centaurea jacea; Figure 2.a) in five populations in The Netherlands. The authors found that although the study sites were within 80 km of each other (Figure 2.b), the population dynamics observed at each site differed considerably within species. The demographic buffering patterns –the ability to remain at a stable population growth rate by means of changes in vital rates values– in time differed qualitatively from those over space. Furthermore, these similar, co-occurring species responded differently to the same spatiotemporal environmental variation. This suggests that time-by-space substitutions in demographic studies must be employed with great care. Some comparative demographic studies have used ternary plots to categorize the life history strategies of plants, using Grime’s competitor-stress tolerant-ruderal scheme. Studies on plant phenotypic plasticity, and especially the demographic study by Jongejans and de Kroon , make me wonder whether these coordinates allocated to individual species accurately depict where those species “sit” on this life history strategy landscape. Perhaps it would be valuable to explore how variation through time and space is reflected in the shape of clouds of coordinates as done by Oostermeijer and collaborators , rather than a single point per species. Figure 3.a. 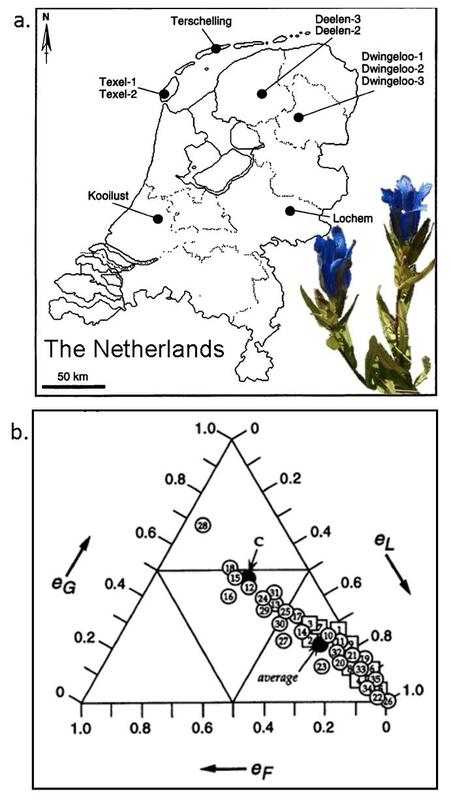 Field sites in the study by Oostermeijer and collaborators on the population dynamics of the perennial Gentiana pneumonanthe. b. Ternary plot indicating Grime’s ecological-strategy position of over 30 populations of G. pneumonanthe according to their relative importance (i.e., elasticities) of growth (eG), reproduction (eF) and stasis + shrinkage (eL) for the overall population growth rate. Figures modified from Oostermeijer et al. (1996). Certainly, plant demography is enjoying a golden age . Newly developed methods keep popping up [7,8 & 9], demographic studies on new species are being published at a rate that makes it difficult to keep track of them, and the linkage between demography and neighboring disciplines such as ecophysiology  and community ecology  is growing, providing a more mechanistic understanding of factors underlying population dynamics and their implications at the ecosystem scale. However, we must not get too comfy… there is still work ahead. This fact should not frustrate us, though. In my opinion, it provides a great opportunity, particularly for young researchers in the community –or should I say population?– of plant demographers! I look forward to seeing how plant demography continues to grow in Journal of Ecology and beyond, and seeing how new studies address questions on phenotypic plasticity at the population level. Caswell, H. 2010. Life table response experiment analysis of the stochastic growth rate. Journal of Ecology 98, 324-333. Murphy, G.P., & Dudley, S.A. 2007. 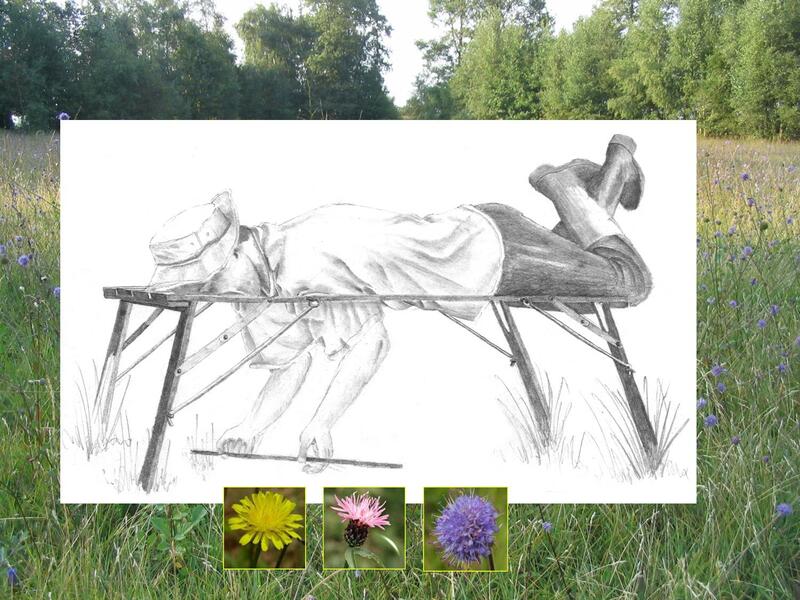 Above- and below-ground competition cues elicit independent responses. Journal of Ecology 95, 261-272. MacDonald, S.E., & Lieffers, V.J. 1993. Rhizome plasticity and clonal foraging of Calamagrostis canadensis in response to habitat heterogeneity. Journal of Ecology 81, 769-776. Jongejans E & de Kroon H. 2005. Space versus time variation in the population dynamics of three co-occurring perennial herbs. Journal of Ecology 93, 681-692. Oostermeijer, J.G.B., Brugman, M.L., de Boer, E.R. & den Nijs, H.C.M. (1996) Temporal and spatial variation in the demography of Gentiana pneumonanthe, a rare perennial herb. Journal of Ecology 84, 153–166. Salguero-Gómez, R. & de Kroon, H. 2010. Matrix projection models meet variation in the real world. Journal of Ecology 98, 250-254. Davison, R., Jacquemyn, H., Adriaens, D., Honnay, O., de Kroon, H., & Tuljapurkar, S. 2010. Demographic effects of extreme weather events on a short-lived calcareous grassland species: stochastic life table response experiments. Journal of Ecology 98, 255-267. Zuidema, P.A., Jongejans, E., Chien, P.D., During, H.J., & Schieving, F. 2010. Integral projection models for trees: a new paraemeterization methods and a validation of model output. Journal of Ecology 98, 345-355. Ruete, A., Wiklund, K., Snäll, T. 2012. Hierarchical Bayesian estimation of the population viability of an epixylic moss. Journal of Ecology 100, 499-507. Tanentzap, A.J., Mountford, E.P., Cooke, A.S., & Coomes, D.A. 2012. The more the merrier: advantages of multi-stemed architecture for the demography of understory trees in a temperate broadleaf woodland. Journal of Ecology 100, 171-183. Related blog post. Dalgleish, H.J., Koons, D.N., & Adler, P.B. 2010. Can life-history predict the response of forb populations to changes in climate variability? Journal of Ecology 98, 209-217.